With the California legislative drawing to a close, state senator Lou Correa and his struggling online poker bill returned to the fore on Monday with a newly amended version of S.B. 678, the Internet Poker Consumer Act of 2013. With amendments designed to appease the many warring factions of Native American tribes in the state, the new version also carries a designation marking S.B. 678 an “urgency bill” which would enable it to become law immediately upon passage. Even with the changes, however, conflicts remain among the interested (and politically influential) parties, and a general lack of momentum behind the bill has most observers inclined to reaffirm the expectation that no further action will occur during the session’s final three weeks. The amendments begin with one specifying the bill’s intent to “authorize intrastate Internet poker” with “eligible entities” being permitted to apply for a license following the bill’s passage. There bill would require the California Gambling Control Commission “to adopt regulations within 120 days after the effective date of this bill” and then subsequently to issue licenses after establishing the application procedure. The amendments go on to include clarification regarding future evaluation of the new law’s effectiveness, requiring a report to the state’s legislature one-year after the bill’s effective date as well as a report from the Bureau of State Audits 4 to 5 years after implementation. There is also a new amendment stating that the bill’s “provisions are severable,” meaning that if sections are considered undesirable (e.g., they are deemed unenforceable or objectionable for other reasons), they can be removed without affecting the bill’s other provisions. Finally, after noting the bill exacts no costs to local agencies or school districts (thus making reimbursement unnecessary), “this bill would declare that it is to take effect immediately as an urgency statute,” although as such for passage requires a two-thirds vote and not a simple majority from both houses. 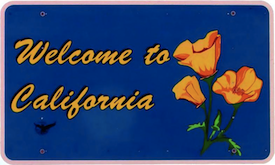 As the country’s most populated state with 38 million residents, the issue of California’s possible entry into the world of online gambling continues to interest observers nationwide despite the apparent lack of legislative enthusiasm behind the effort. A statement from Correa reported in The Los Angeles Times characterizes changes to the bill as having stemmed from continuing negotiations among the tribes. “These amendments are the product of ongoing discussions with a broad coalition of California Indian gaming and non-gaming tribes who have participated in an inclusive and transparent process over the past several months,” Correa said. Representing a coalition of three tribes with casinos in California, the CTBA has held firm to its anti-online gambling stance, speaking out in opposition to other states’ passage of online gambling legislation in the past as a threat to the brick-and-mortar casino industry. Likely because of such opposition, few legislators besides Correa have been eager to pursue the subject of online gambling in California. Since the amended bill was forwarded Monday, no committee hearings regarding it have been scheduled. The California legislative session ends September 13.